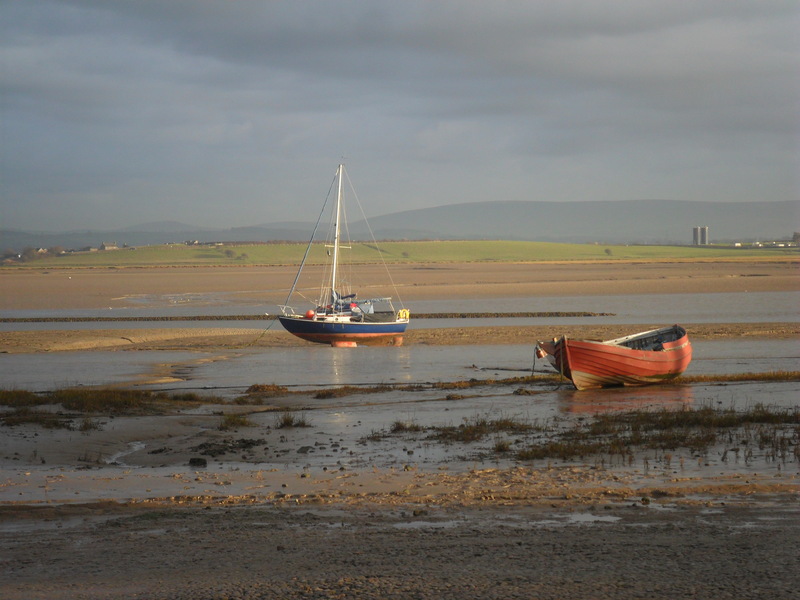 You are here: HomenextThemesnextFun in the BaynextBeachnextView across the River Lune from Sunderland Point across to Glasson Dock, with a pleasure yacht and a local fishing boat in the foreground and the Bowland Fells in the background. View across the River Lune from Sunderland Point across to Glasson Dock, with a small fishing boat and a rowing boat in the foreground and the Bowland Fells in the background. Looking across the River Lune at low water.